Property mogul Ren Zhiqiang called for state-run media to represent the people, prompting Beijing to shut down his social media accounts. Ren, a Communist Party member, is pictured here at a real estate forum in Chengdu, Sichuan province, in southwest China, in 2006. Pushback. Xi Jinping has been getting a lot of it: from laid off and unpaid workers; from academics unhappy about constraints on what they can teach; from neighboring countries worried about China’s new assertiveness; and now, apparently, even from his own supporters inside the Party. It was not unexpected that he would concentrate power in his own hands. The C.C.P. wanted a strong leader to deal with all the challenges it confronted simultaneously—rising corruption, a slowing economy, a growing debt overhang, the need for military reform, slippage in Beijing’s control of Tibet, Xinjiang, Taiwan, and Hong Kong, and a perceived encirclement by the U.S. and its allies—and it chose Xi to play this part. His efforts seemed to have pleased the Party elite. Until now. Evidently he has gone too far in creating a cult of personality that has sought to place him beyond criticism even by cronies and elite supporters. China is no longer a country of peasants. The Party is no longer an organization of semi-literate ex-guerrillas. Even in its slick modern version—replete with online cartoons and rap songs—the old-fashioned leader cult has become anachronistic. The Chinese New Year TV extravaganza featuring paeans to Xi was widely panned. When Xi told Party members that they could not “irresponsibly discuss the Center” (wàng yì zhōngyāng, 妄议中央), he was asking for a degree of blind obedience that today’s educated and opinionated Party member is not prepared to provide. His demand that the media revert to its Mao-era role as the “tongue and throat” of the Party drew ridicule, including a stinging retort from Ren Zhiqiang, a well-connected entrepreneur and Party member. Xi—or his people—cracked down on Ren. And the documents before us seem to be the next stage in this train of events. I assess the document on the website of the CCDI as more significant than the open letter. Asking a leader to resign is a sign of opposition, and in a party of 86 million it is not necessarily a sign of danger that a few members have ideas of their own. The CCDI document, however, is an act of remonstrance: although it emanates from a posture of loyalty to the leader, it presents a more serious challenge. Chinese political tradition gives great value to “loyal remonstrance” (jiàn, 谏), in which one warns a powerful figure as a way of serving him, at the risk of one’s head. Remonstrance comes from within the leader’s camp, rather than from opponents. And, as the historical and literary allusions in the document suggest, it comes about when the leader is in great danger—from himself. Observers will puzzle over whether the head of the CCDI, Xi’s close comrade-in-arms Wang Qishan, knew about this document in advance. Even if he did not, the fact that it appeared on the website of the Party’s own enforcement arm suggests that Xi’s most fervent supporters are the ones most worried about the path he has taken. I do not, however, expect Xi to back down. More often than not in Chinese history the remonstrator lost his head. When his warnings came true, so did the leader who ignored them. Remarkable documents indeed, and I suspect that Andrew Nathan’s analysis is right on the money. Although we don’t know much about the provenance of these papers, they do seem to reflect a wider sense of nervousness about the direction of travel that marks many conversations these days in Beijing. What I wonder is: how large is the constituency they represent? Do they speak for a significant majority or minority of the wide population, or even of some sections of it? And what sort of China do they advocate as an alternative? Certainly there is unhappiness in many Chinese circles that the current leadership is centralizing too much power. One does not have to go far to find professionals, in particular, increasingly concerned for their autonomy of action: academics who are constrained about their research, journalists given long internal lists of topics that they cannot address, and lawyers warned off politically sensitive cases. Foreign scholars will note that many sites where they could easily carry out observational fieldwork have now been shut down; having opened up steadily, China feels as if it is shutting down again in significant ways. All of this is alarming for liberals – as it should be. Yet one of the disconcerting realities in China today is that some aspects of the current crackdown are not unpopular. The continued crackdown on corruption, in particular, continues to attract a great deal of approval; I have heard people remark frequently that the crackdown is of course political and factional in nature, but nonetheless note that those under attack are frequently known for having become rich with no clearly visible means of support. China’s authorities continue to keep its entrepreneurs on their toes by keeping the law vague or hard to comply with, allowing plenty of space for retrospective prosecution when a plutocrat steps out of line politically. It’s unfair but has proved effective. My own preference would be for a China with a much freer and more liberal environment, and for that to happen soon. However, little in the documents here guarantees that their authors necessarily want the same thing. Instead, the CCDI document suggests that its authors are worried about party stability under a more personalistic rule, although they do mention periods of relative openness in the past (though we know a lot more about the violence used in Yan’an, giving pause to the idea that it was a period of genuine open debate). Presumably if the leadership returned to the more collegial style of the 1990s and 2000s, they would be satisfied; little there indicates a move to a more open system overall, as opposed to a limited space for discussion within the party. These documents suggest an internal conflict which will be fascinating for China-watchers to observe. But the kind of government for which Xi’s opponents are speaking up may not be that much more attractive for those who would want a more liberal China. Andrew Nathan is orders of magnitude better versed in elite Chinese politics than I am, but I’m surprised he seems to link demand for a perceived ‘strong leader’ to particular challenges circa-2012, such as debt and Hong Kong. My knowledge of Xi’s appointment comes mostly from Andrew’s own book, but writing in 2002 he makes clear Xi and Li were the main contenders as early as 1997. Certainly debt worries arose after 2008 and Hong Kong was not apparently a major concern to Beijing until 2012. But these are quibbling differences and not directed to Andrew’s main point which I’m happy to accept. China is scheduled to appoint a new government next year. Will Xi Jinping lead it, or is it possible that he retires and a new leader takes over? My view right now is at least 85% chance that Xi is reappointed, but last week it was a 97% chance. If we knew for sure that the letter was written by powerful top-ranked leaders opposed to Xi, then our expectations for his continued leadership beyond 2017 would have to be revised down further. But there are many possible explanations for where this letter came from and we can’t rule those out. The individual impact of one event shouldn’t be overstated. If there are continued noises in this vein that appear to come from high places we should begin revising up expectations of a change at the top. Because of the importance of perception in China’s brand of politics, repeated signals like this should have increasing impact, especially if they appear to come from multiple sources. Besides the question of leadership, there are a raft of individual policy issues that should be considered. Depending how you count, there are 16 specific charges in the letter, alleging Xi’s actions caused terrible outcomes (from a CCP perspective). This should increase our expectation of policy change in all these areas, but until we hear corroborating noises from other sources it should only be slightly higher. The policy areas raised include everything from collective leadership of the standing committee, to Li Keqiang’s independence, the ‘one country two systems’ policy, foreign policy aggression, the cult of personality, one belt one road, and party control of the media. It really is worth reading just for the pleasure of such a polite but comprehensive take down (thrice raising concern for the safety of Xi’s person and family gives the letter a darker tone). The charges are hard hitting and not easily rebutted. Together it amounts to a serious document that must surely have circulated widely at the recent annual legislative sessions called the Two Meetings, despite being almost instantly removed from China's “intra-net” (it's still available online beyond the GFC). Even if only one or two of the points became widely held views it could indicate important changes of policy direction for China. The emergence of an executive office as aggressive as Xi's presents China's ruling class with a test of whether it can or cannot remain intact. The CCP network of families and enterprises has retained its position through a series of rapid-fire external challenges—frequent public disorder, a bubble-and-burst economy, and escapes from predicaments in managing the currency and mounting environmental disasters. But whether it can survive an internal challenge from an executive bent upon wresting power from it is a question. That is an elementary historical theme. Ambitious rulers had to pursue control of their civil and military elites apace with tightening their grips on society and economy. The winners in those struggles are big in the history books—in China, they include Han Wudi, Tang Taizong, the Kangxi and Yongzheng emperors of the QIng— but are a tiny minority in the string of historical executives. Most emperors knew better than to challenge entrenched elite power. Of those who tried the most spectacular losers are also always good for a paragraph in the textbooks too, since the struggles they precipitated led to fatal rupture of their empires. The PRC is not an empire and the General Secretary is not an emperor. But the Party elite has some resemblance to traditional ruling classes. One is that it shows little or no collective awareness of the toll of its own excesses upon its ability to remain coherent and dominant. Xi planned carefully for his assault on elite complacency, putting his loyalists in place even before he assumed office. He has used campaigns against "corruption" to target some of his potential challengers and has imposed sobering penalties upon them. He is reducing state subsidies to inefficient industries that do nothing but channel public wealth into the coffers of the elite. These documents more than suggest that those threatened intend to strike back. Will Xi Jinping join the winners—like Mao Zedong and Deng Xiaoping—who increased their control at the expense of the elite? Or will he join the list of hapless state leaders who attempted a coup against immovable elites and ended not only losing his personal battle but also destabilizing the government? I agree with Andy that Xi has gone too far to back down now. Xi has invoked nationalism to legitimate his aggrandizement and to discredit critics at home and abroad. Rivals within the party, lawyers, journalists, and academics are accused of sedition if they criticize Xi and with contemning some mythical Chinese essence if they discuss democracy. Party elites who wish for their own reasons to discredit Xi will champion free speech as a necessary part of their counter-attack. We should expect that their enthusiasm for dissent will wane quickly if they succeed in curtailing Xi’s power—the way Deng Xiaoping’s invocation of the Democracy Wall movement in 1978 preceded his persecution of Wei Jingsheng in 1979. I agree with Rana that a struggle against repression does not in itself produce liberalization. I share Andrew Nathan’s assessment that the CCDI report is of greater relevance than the call for Xi’s abdication, which most certainly has not emanated from higher party echelons but probably is the result of growing resentment toward Xi’s firm grip on the public sphere among lower ranking party members. The strategy of “washing one’s dirty clothes in front of the enemy” has rarely been adopted by still-active CCP leaders. However, the call may serve as a symptom that the shift in political culture, including the renewed leader cult, is not accepted uncritically within the party rank-and-file. While the choice of presenting a stronger leadership figure in public most certainly has been favored by many party members unsatisfied with Hu Jintao’s tenure, one of the most widely shared lessons drawn from the Cultural Revolution within the CCP leadership after Mao Zedong’s death was the need to “reduce the propagation of individuals.” However, reducing the propagation did not equal abolishing the structural roots for leader cults. Important factors such as patron-client relationships and the need to pay lip service to current policies (biaotai) constantly resurfaced, especially during periods of inner-party conflict. It is in this regard that the CCDI article merits interest. The document provides us with a renewed illustration of the weal and woes of Pekinology or symptomatic reading. While it may well be that we are witnessing a fairly bizarre piece of factional politics, it is surprising that the CCDI under Wang Qishan, a trained historian of late imperial China himself, has come to play a prominent role in advancing the use of historical allegories. While using the late Prince Qing’s reliance on foreign banks as an example to criticize Jiang Zemin’s crony Zeng Qinghong last year was still fairly obvious, the message of this article is not equally clear-cut. I am not completely convinced that the document criticizes Xi’s increased personal rule as such. While it urges the leader to take dissenting views into account, it not only employs the emperor metaphor quite unabashedly but also approvingly quotes a Confucian view of elite politics as determined by “gentlemen,” by the emperor and his ministers. The most likely reading of the document would place Ren Zhiqiang, criticized roughly 10 days before the publication of the article, as the equivalent of the eccentric advisor. “Highly successful people are extremely open-minded,” as the article puts it. The criticism would accordingly be spearheaded at those “yes-sayers” in party circles, such as the Central Propaganda Department, arguing for a harsh sentence for Ren. The lines of conflict thus seem to run between different parts of the bureaucracy rather than signaling outright opposition to Xi. There can be no doubt that behind the scenes power struggles regarding the choice of candidates for next year’s leadership reshuffle are already well under way and contribute to these debates. Whether “critical loyalty” will prevail over “absolute loyalty,” as recently called for by Xi, remains to be seen. These two documents imply a serious message: (some) party inspectors and party elders are concerned about the future of their country—and unhappy that the much-needed “strong man” they endorsed to save the CCP is not performing well and, even worse, pushing his own agenda. But this is not my main concern. I want to highlight one question Rana Mitter has already brought up: Who is behind these documents—regardless of whether the open letter is real or not? Because even if it’s not, the cracks are clearly running deep: Vested economic and political interests are engaged in an increasingly heated battle. This battle has now reached the center of the political propaganda apparatus. Because the CCDI article is currently the biggest blow in a preceding series of changing, often contradictory political positions displayed within high level official media outlets. In comes a linked second battle of interests: Between these events, Xi Jinping has called on the media to speak for and serve the CCP only. 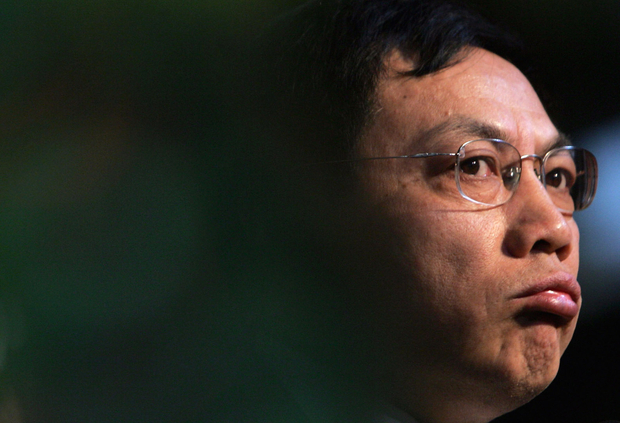 Then, the outspoken Ren Zhiqiang, party member and successful entrepreneur, openly criticized Xi’s media co-optation. Shortly after official reports on his upcoming severe punishment for “illegal information” disclosure, the above-mentioned CCDI article appeared, and for now, has put the issue on hold. A cease-fire, so to say. What does all this tell us about vested interests? Their rate of organization? Their political agenda? It’s complicated. Probably the easiest to identify are “the liberals” represented by entrepreneurs such as Ren Zhiqiang or professionals such as journalist Hu Shuli. For these “liberals,” Xi’s centralization of authority and Cultural revolution-like disciplinary campaigns are troublesome in many ways: they don’t solve the real problems and potentially endanger the maneuvering space and wealth of the “liberals.” Then there is a “leftist camp”—with its prominent figure, Global Times Editor Hu Xijin—pressing for authoritarianism Chinese (and to some extent Xi) style to increase Beijing’s and their own bargaining power vis-a-vis the West. Which makes this battle turn global. These vested interests have already started to use Western scholars—liberals and leftists alike—to endorse their positions within the Chinese media or at conferences (recent examples are selected foreign experts supporting, and sometimes partly criticizing, the Five-Year-Plan). As the battle goes into the next round, these tactics of instrumentalizing Western scholars will get more sophisticated. Be forewarned!